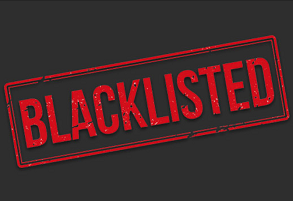 For various reasons, these betting websites are included on our blacklist. The problems can be several slow payments or unpaid payments, blocked and closed accounts, overstretched verification issues, and/or bonus scams. If the affiliates' accounts are closed for no particular reason, they may also end up on our blacklist if we believe this is unauthorized. ⚖ Bookmakers ratings is an independent rating guide based on bookmakers research, the players' opinion, and our experiences, where safety is most important in our valuation. Please note. Partnership (Affiliates) with bookies also has a grading impact. We do all the time research and new assessments to improve ratings, however, we also suggest investigating on your own when choosing the right sportsbook/bookmaker online.